The Israel Defense Forces (IDF) rarely acknowledge striking specific targets in Syria but its outgoing chief of staff just openly confessed to running a large-scale bombing campaign in its neighbor’s territory. In 2018 alone, Israel dropped around 2,000 bombs on alleged Iran-linked targets, Gadi Eisenkot told the New York Times in his final interview as chief of staff of the IDF before he retires next week. “We struck thousands of targets without claiming responsibility or asking for credit,” Eisenkot stated, confessing to carrying out strikes on a “near-daily” basis. While the Syrian government repeatedly accuses the Jewish state of constantly violating its sovereignty and aiding the terrorists by their raids in the country’s airspace, Eisenkot claimed the Israeli actions are justified – and that, anyway, neither Damascus nor Tehran can do anything about it. We have complete intelligence superiority in this area. We enjoy complete aerial superiority. We have strong deterrence and we have the justification to act. 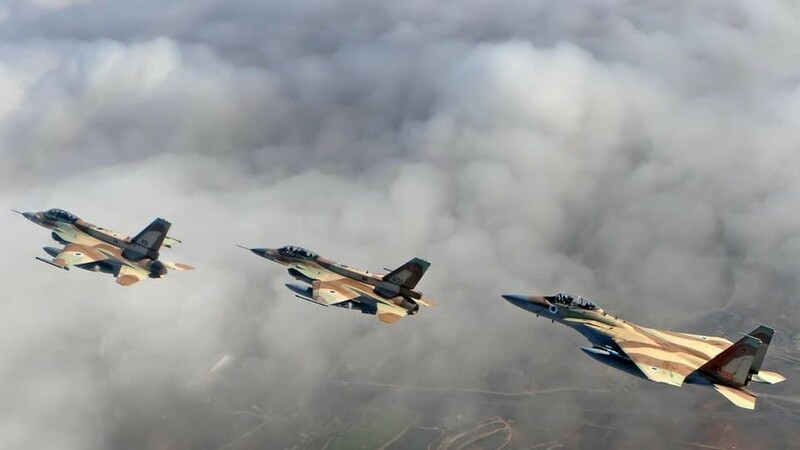 Despite the Lieutenant General’s claim about a moral high ground in the battle against the perceived Iranian threat, the Israeli Air Force was caught in several reckless –and sometimes lethal– actions during their missions in Syria. On Christmas Day the Israeli jets used two civilian aircraft in flight as cover to engage targets in Syria, the Russian Defense Ministry said, noting that the IDF’s F-16s flew in as civilian jets were landing at Beirut and Damascus airports. Yet, despite repeated dangerous behavior in the air, Israel continues to intrude in Syrian airspace under the “the campaign between wars” military strategy which envisions a continuous and lengthy engagement to degrade an enemy’s military capabilities. Developed by Eisenkot, the tactic was given the green light by the cabinet in January 2017. Since then Israel carried out thousands of sorties, allegedly striking “over 1,000 Iranian targets.” Yet Damascus claims the majority of Israeli missiles and bombs are being routinely intercepted by the Syrian air defenses. No official details or visual proof of the Israeli raids’ results has ever been presented, except for the time when Israel rushed to disavow any blame for the downing of the Russian plane and shifted the blame for the tragedy onto Damascus and Tehran.